The Professional Standards for Neuroscience Nursing has been developed to reflect current neuroscience nursing practice within the scope of neuroscience nursing and a diverse range of contexts. The use of behaviours as performance standards will provide a benchmark of best practice in neuroscience patient care. The Professional Standards for Neuroscience Nurses has been designed to be generic and thus are applicable to a diverse range of neurscience nursing practice contexts. 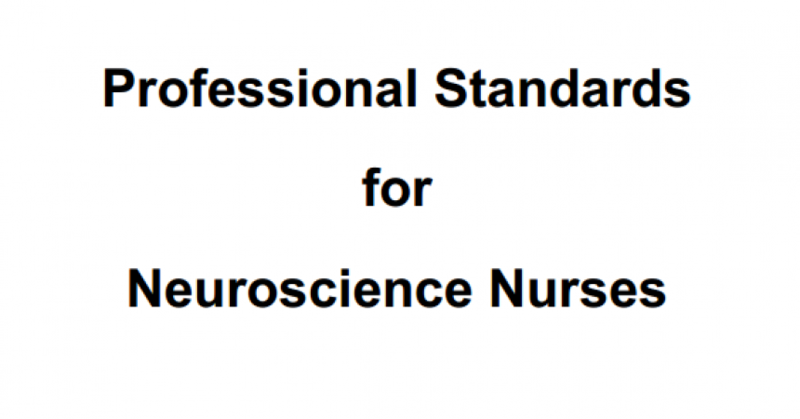 The set of Professional Standards recieved endorsement by the Australasian Neuroscience Nurses Association membership at the 2003 Annual Scientific Meeting, held in Quennstown, New Zealand. A practice-basedevaluation tool for performance managmeent, such as self-appraisal and the identification of learning needs and goals. A framework for development of professional and academic neuroscience nursing education curricula. You can download the Professional Standards by clicking here.